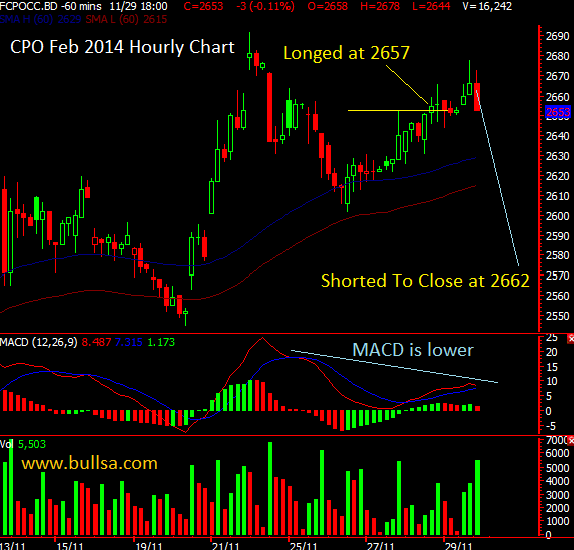 I longed to close my trade at 2558 for little profit of 10 points only. 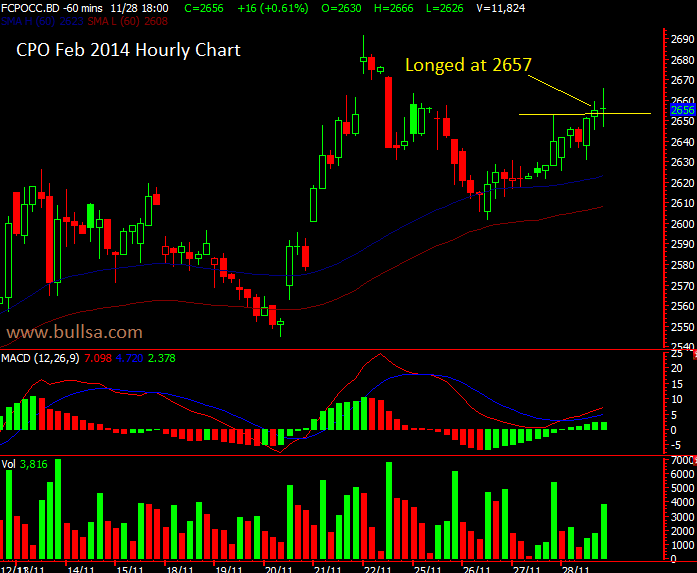 I initiated a short position of Feb 2014 Future Contract at 2570 for 1 contract. The downside might not be strong. 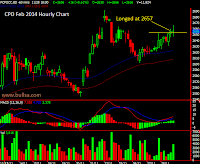 Let see. I could not believe my eye. 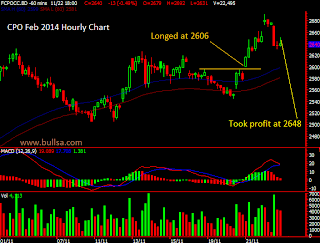 My long position was stopped out at 2526 with a loss of 24 points (1 point for commission) towards the last 5 minutes of the trade. 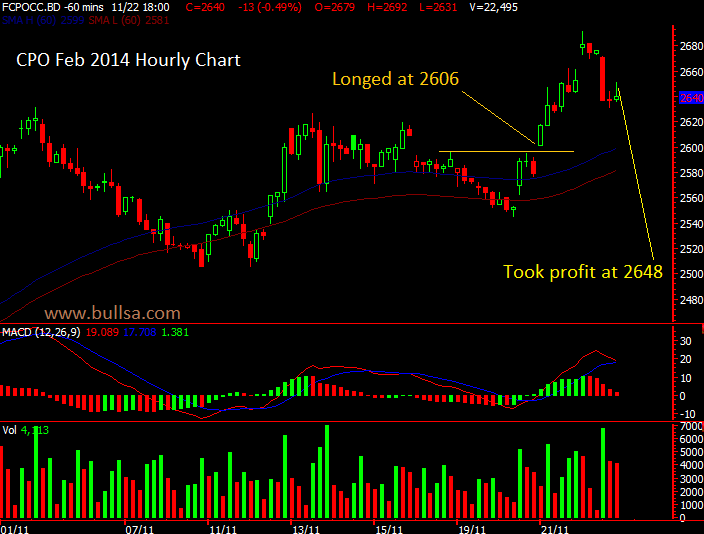 Placing Stop Loss is a MUST in trading despite wild swing could occur. What to do! 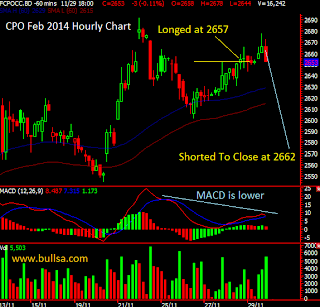 I initiated long position for CPO Jan 2014 Future Contract at 2549 for 1 contract; potential rebound.